Ducati will launch the new and updated variant of the Desert Sled on April 26. Other than minor cosmetic updates, the Desert Sled gets new switchgear, new instrument console, a hydraulic clutch and cornering ABS. Expect the updated model to come at a premium of Rs 50,000 over its previous iteration. 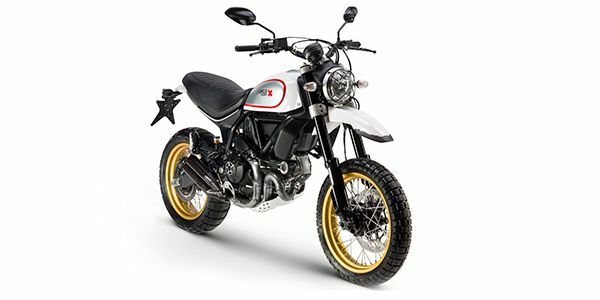 The Ducati Scrambler Desert Sledis the most expensive bike in the Ducati Scrambler range. It takes its design inspiration from the off-road bikes of the 60’s and 70’s that were hugely popular in the US. As the names suggest, the new bike is a dual-purpose offering. To better suit its needs, it gets a revised riding position, thanks to the full 200mm extended travel on the front and rear suspension, higher seat (a 20mm lower seat option is available as an accessory) and off-road style foot pegs with removable rubber pads. Other off-road elements on the new Scrambler Desert Sled include high-mounted mudguard, knobby tyres, bash plates and spoke wheels. Powering the Desert Sled is the same 803cc air-cooled motor as seen on the standard Scrambler which delivers 76PS of power and 68Nm of peak torque and is now Euro 4-compliant. The bike is devoid of any electronic aids and the frame has been stiffened up. ABS is a standard fitment on the motorcycle. The Scrambler Desert Sled rides on a 19-inch front wheel, while a 17-inch unit does duty at the back, and both the wheels are shod in Pirelli Scorpion Rally STR rubber. Ducati Desert Sled prices start at Rs. 9.32 lakh (Ex-Showroom). Ducati Desert Sled is available in 1 variants and 2 colours. Share your experiences with Desert Sled? Could the Ducati Scrambler Desert Sled be the Scrambler we’ve always wanted? And with a premium of Rs 2.0 lakh over the Icon, is it worth it?